UNB’s International Student Advisor’s Office (ISAO) is hosting its second annual World of Talent showcase, which will feature performances by international students from the university’s Fredericton campus. “Last year’s World of Talent show was so fantastic,” says Nancy O’Shea, director of the ISAO. “The performers were beyond talented and treated us to amazing performances. We are confident that this year’s show will be equally as great. 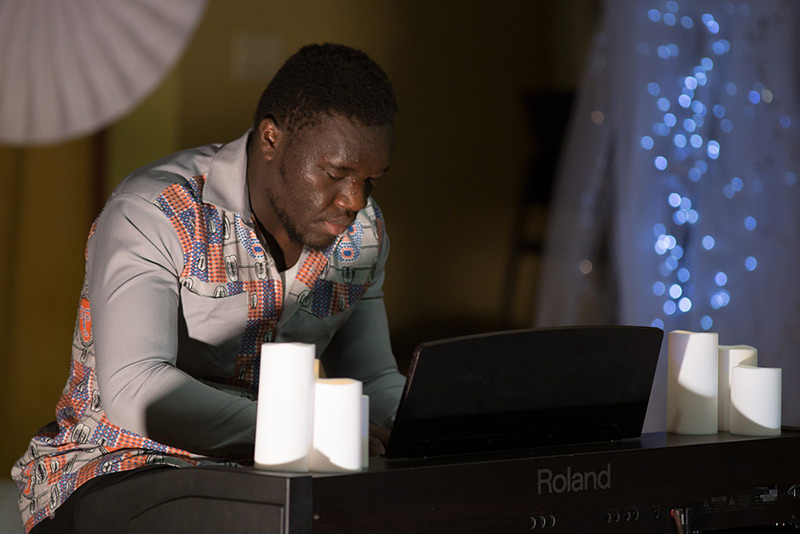 Marcel Pefang, a second-year kinesiology student and pianist from Cameroon, performed last year and looks forward to performing again this year. “The joy that playing gives me cannot be explained in simple words. When I'm on stage, it gives me a sense of purpose and I am able to tell my story through my music,” he says. This event is open to the public. Admission is by donation, with all proceeds from the show going directly to the United Way. There will also be a 50/50 draw during the show in support of the United Way. “This is a fabulous opportunity for the UNB community, as well as the greater Fredericton community, to come together and enjoy an evening of fun and entertainment,” Ms. O’Shea says. The showcase will be held on Thursday, Feb. 21, from 7 to 10 p.m., in Marshall d'Avray Hall, room 143. Photo: Marcel Pefang. Credit: Maria Nazareth Araújo.